Here at B & P Scrap Co Ltd, we understand the stress comes with getting rid of a vehicle that is no longer of use, but our team are able to offer you an alternative to dispose of your vehicle and put a little money in your pocket. Our team have over 50 years of experience in scrapping vehicles from across Essex, providing you with the help needed to dispose of your vehicle once and for all. 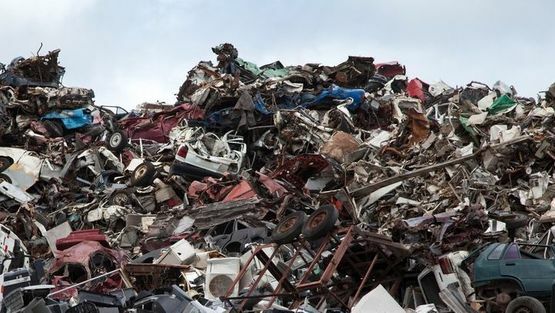 With the rise in popularity and value in scrap metal it is now possible to get rid of your unwanted vehicle for financial gain. Repairing your vehicle to make it roadworthy is sometimes a task that isn’t worth undertaking, whether your car has failed its MOT, broken down or been involved in a crash, our team are able to take it off your hands and reward you for your troubles. 1. A form of ID: Driving Licence, Passport or recent utility bill, V5 (log book) for the vehicle. 2. We then are able to provide you with the relevant certificate of destruction from the DVLA. Call now for a quotation on the range of vehicles that are eligible for scrapping including end of life vehicles, available across Essex.